Keeping all of your utensils cleansed thoroughly is an important sanitation requirement and is also essential for customer satisfaction. In order for your dishwasher to disinfect properly, it must be capable of reaching high temperatures that can kill any remaining bacteria that are left on the utensils. If any bacteria remain on your utensils, such as E. coli, your customers could be at potential risk of illness. By having a trusted K.C.S. engineer service your dishwasher, you are ensuring that your appliance is reliable and capable of disinfecting utensils. Hygiene should be a priority for every catering company. Many foods require refrigeration, if these products are not kept at the appropriate temperature, harmful bacteria could develop and put your customers at risk of illness. If your refrigerator were to become inoperative or operate incorrectly, it could jeopardize your business. We understand that food, as a degradable product, requires refrigeration to retain its worth. Our refrigerator servicing provides you with the satisfaction that your appliance is reliable and that your company is not at risk. 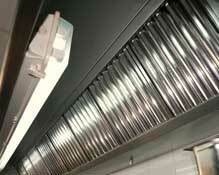 Kitchen ventilation, and/or extraction, systems are required, by law, to be cleansed on an annual basis. Without regular cleansing of your ventilation system, you are at risk of invalidating your company building’s insurance. 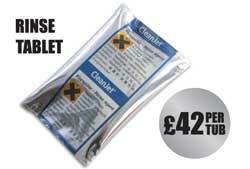 Our cleansing services removes any residue that could potentially cause a fire risk to your ventilation system. This allows your ventilation system to work efficiently and to its full potential. By working effectively, the ventilation system is capable of extracting any hot air or fumes from the workplace whilst introducing clean and cool air. This keeps your working environment both comfortable and safe. If your system is unclean, your workplace could be at serious risk. The ventilation of fumes, both visible and not, reduces fire risk and carbon monoxide poisoning considerably. By using K.C.S. cleaning services you are ensuring that you are providing a safe working environment. Carbon Monoxide poisoning sends 4,000 people to A&E every year. Having one of our Gas Safe Registered engineers service your cookers will prevent your workplace from being at risk of carbon monoxide poisoning. With 1 in 13 cookers not gas safe, servicing your gas appliances is essential to ensuring your employees’ and customers’ safety. Having an unregistered engineer service your appliances is illegal and could put your business at risk. Our engineers can ensure your appliances are safe and compliant to legal requirements. If your cooker does not meet legal requirements, you could receive a maximum penalty of £20,000 or imprisonment for two years. K.C.S. 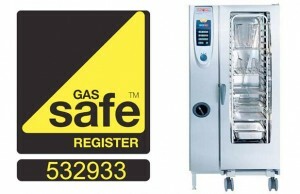 Gas Safe Registered engineers can be trusted to keep your gas cookers safe and compliant to legal requirements. Here at K.C.S. we understand the importance of retaining the quality of your investments. K.C.S. competitively prices our range of RATIONAL care products to give our customers the most cost-effective treatment fortheir RATIONAL units. 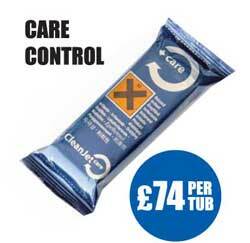 ?Whilst other companies price their RATIONAL Rinse Tablets at up to £120 per tub, K.C.S. price at just £42 per tub, saving you £78 per tub.Similarly, other companies price RATIONAL Detergent Tablets and RATIONAL Care Tablets at up to £100 per tub, at K.C.S. 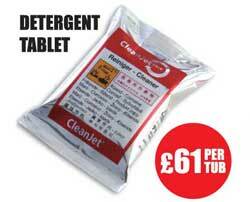 we price our RATIONAL Detergent Tablets at £61 per tub and our RATIONAL Care Tablets at £74per tub. 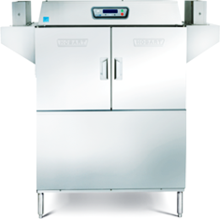 RATIONAL care products have been specially adapted to provide the best cleaning results for your RATIONAL units; ensuring maximum productivity and operating reliability. By using RATIONAL care products you receive long-term care for your RATIONAL units, retaining your investments quality and longevity for minimal costs. ?RATIONAL care products are powerful against dirt and limescale. ?RATIONAL care products enable optimum hygiene for your catering equipment.?K.C.S. Ltd are suppliers of RATIONAL products and parts. Use of RATIONAL care products is essential for maintaining RATIONAL units.